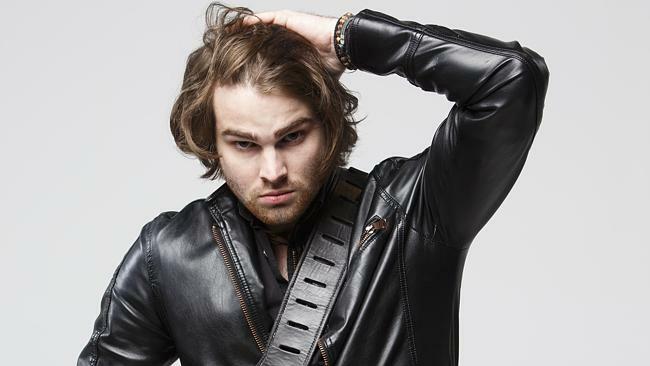 Dean Ray stood out as one of the most promising contestants during the qualifying stage of the X Factor Australia; he looks sure to do well in the competition. This young Australian has all the traits needed to become a star, already proving his credentials as an accomplished musician; however, life has not always been good for him. In recent press interviews, he talked about being a recovering alcoholic and how not so long ago he was coughing up blood as a result of his addiction. Last year, Dean Ray was in such a bad way due to his addiction that his family and friends needed to stage an intervention. He was coughing up blood due to stomach ulcers, and his behaviour was out of control. Back then, he was not able to sleep at night unless he was drunk, and he would knock back several bottles of Jack Daniels a week. He describes hitting rock bottom when his drunken state while performing on stage meant the owner of the venue had to take him to hospital. Dean Ray is already been described in the press as a bit of a ‘bad boy’, but he seems to enjoy this image. There has been some concern over the fact that he continues to post pictures of alcoholic drinks on his Facebook page, which has led some people to worry that he may have relapsed or that he is on the verge of relapse. There is even speculation that he may end up following in the footsteps of Altiyan Childs, the X Factor winner who later got a lot of bad press because of his addiction problems. Dean is keen to reassure people that he is committed to recovery and that he has learned from his past mistakes. addiction is closely associated with certain personality traits like attention-seeking and negative thinking, and these traits are not usually associated with the cool and confident. The huge difference between the public perception of substance abuse and the reality of it can be huge. There was a recent video posted online featuring Angelina Jolie from years ago where she is meant to be high on heroin, and she looks shockingly different from the glamorous person she has become today. Dean Ray can be a great example of how somebody can be cool by not drinking alcohol or taking drugs. His rendition of Betty Davis Eyes during the qualifying stage was incredible, so there is going to be many people following his progress. Don’t be surprised if he wins.